Heidi has worked in the veterinary business for 7 years, both in emergency and day practice. After a professional life as a dancer in New York and Colorado, she and her husband, Mike, moved to the Hampton Roads area to be near family. Through Midway Vet, they’ve adopted Petie, a pitbull rescue from a fighting ring, Lucy, a feral kitten with a damaged eye and have just added another feral kitten, little Ricky, to the family. 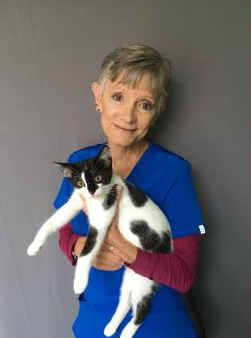 They continue to care for community feral cats and have established Happy Cat Outdoor Resorts and Pet Sitting to further care for kitties.